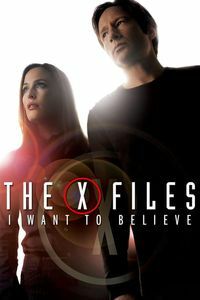 (On Cable TV, August 2017) I’ve never been more than a very lukewarm X-Phile (I had planned to watch the series seriously once it ended, but the end was such a mess that I never went back), so it’s not as if I was asking the world out of The X-Files: I Want to Believe. Alas, this underwhelming sequel fails to meet even undemanding standards. Fatally conceived as a meaningless monster-of-the-week episode rather than something advancing the overarching mythology of the series, I Want to Believe sputters a long time on the basic charm and chemistry of David Duchovny (likably roguish with or without a beard) and Gillian Anderson (looking better than ever with longer hair), but reuniting with those two characters as they work out their relationship and what they want to do against the evil of the world isn’t quite enough to satisfy. 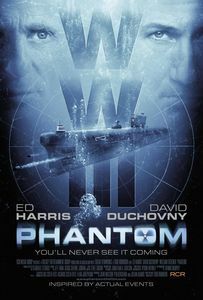 The central plot is dull as dirt, and occasional visual flourishes from writer/director Chris Carter aren’t nearly enough to keep anyone interested. The ending is pat, leaving us again with our sympathy for Mulder and Scully to pick up the slack. I’ve waited nearly ten years before giving this one a try, but there really wasn’t any reason to hurry.